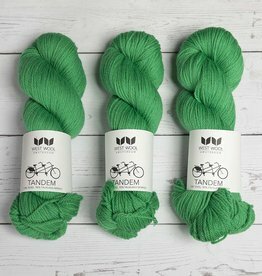 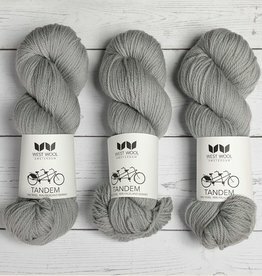 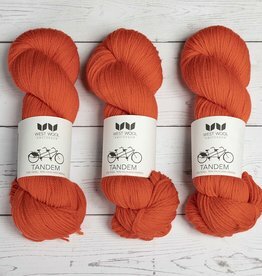 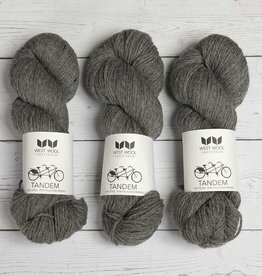 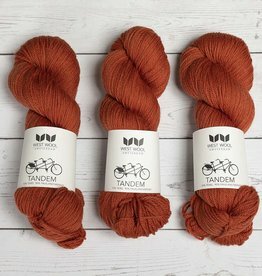 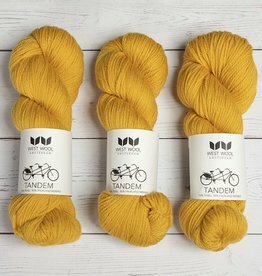 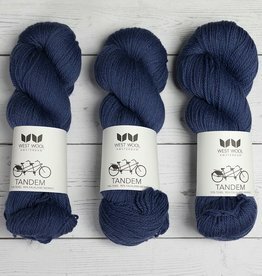 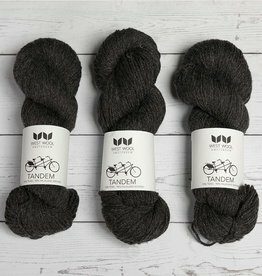 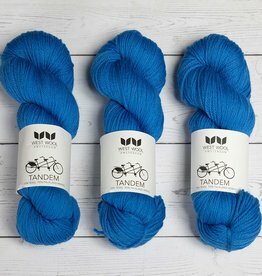 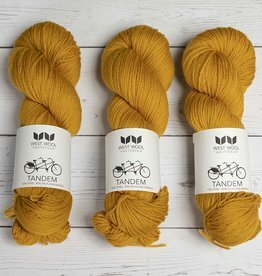 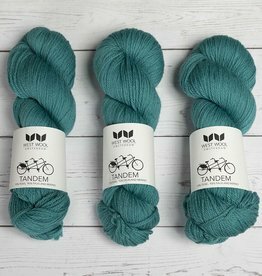 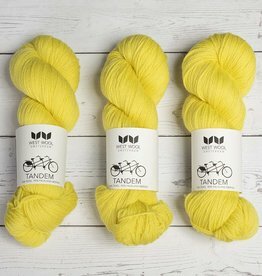 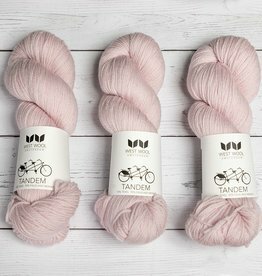 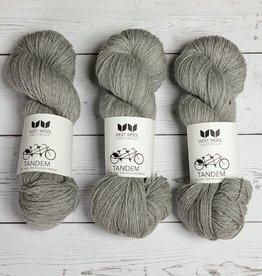 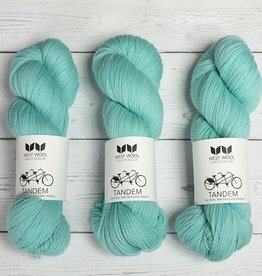 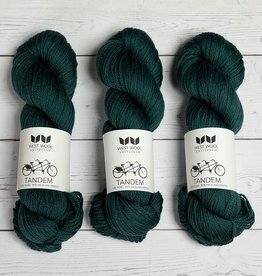 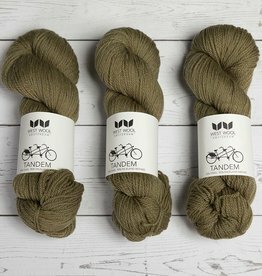 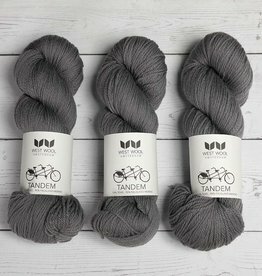 The 3-ply DK weight Tandem base gives beautifully smooth and clear stitch definition while the touch of Texel makes cables and textures really pop. 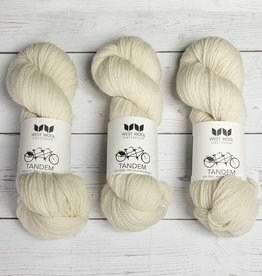 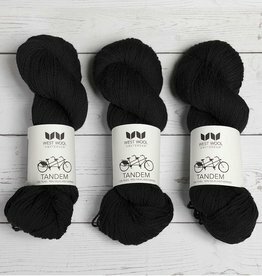 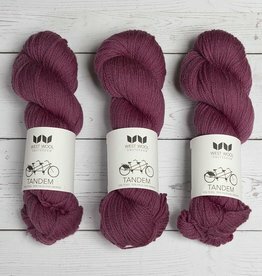 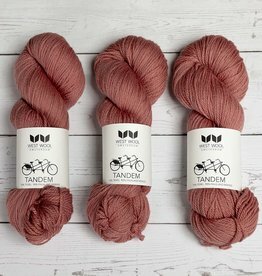 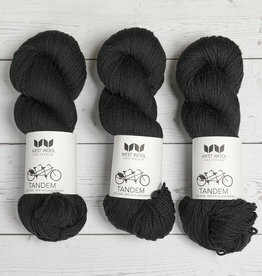 The robust non-superwash nature of Tandem is crisp yet still very soft. 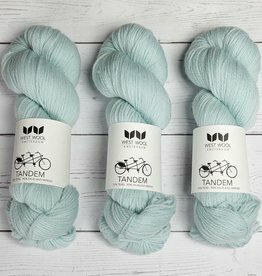 If you love texture and stitch definition or can’t seem to knit enough Westknits shawls, then you will appreciate the fluidity of the soft Falkland fibers as well.